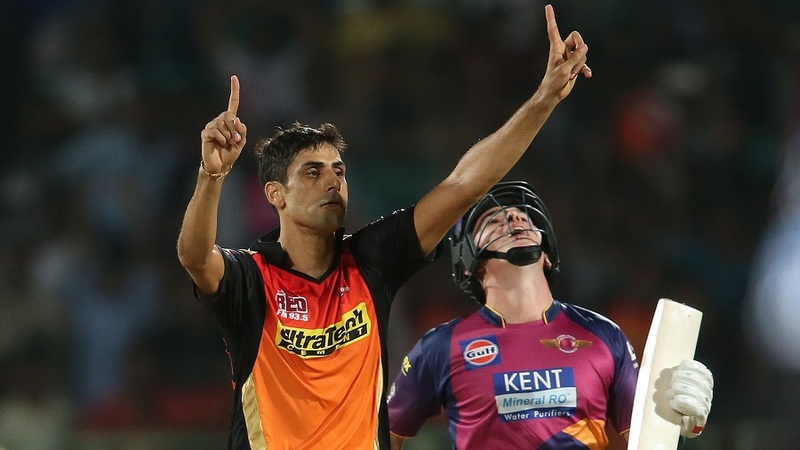 Sunrisers Hyderabad possess perhaps the best - and certainly the most in-form - pace attack in the IPL, and this proved decisive in bowler-friendly conditions that produced a low-scoring thriller against Rising Pune Supergiants in Visakhapatnam. There was turn, and R Ashwin and Adam Zampa - whose figures of 6 for 19 were the second-best in the tournament's history - helped keep Sunrisers to 137, but there was also swing for the new ball, a bit of bounce, and grip for Mustafizur Rahman's cutters. The chase was a chess game. MS Dhoni promoted George Bailey and Ashwin to Nos. 3 and 4 after the early loss of both openers, with the third-wicket pair ostensibly instructed to push the ball around and stabilise Supergiants' innings, given the modest required rate. Bailey and Ashwin put on 49 in eight overs, and when the partnership ended Supergiants needed 70 from 48 balls. Dhoni didn't walk in then; he came in with 60 required from 40.